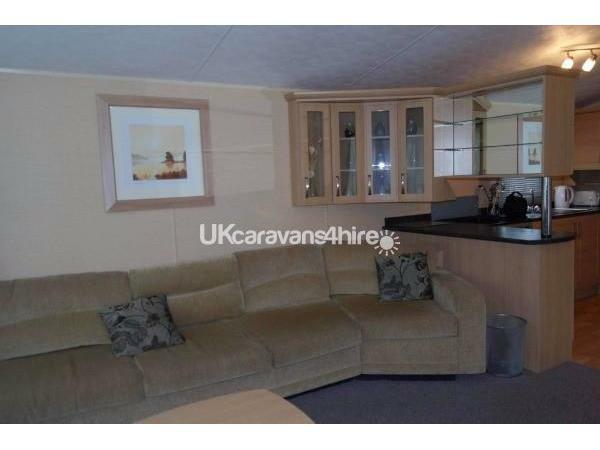 Additional Info: The Willerby Granada XL is a six berth 38ft x 12ft wide holiday home which is situated on Sycamore Forest number 626 offering easy access to the lakes. 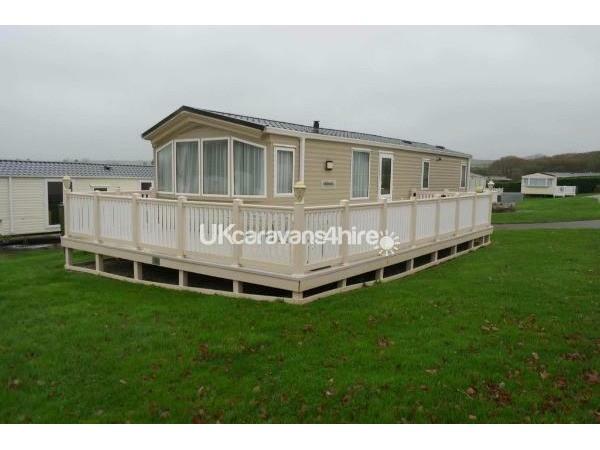 It has a large decking area for sitting out in the sun whilst admiring the beautiful surroundings of White Acres.The lounge has wrap around seating and has a 32" TV with DVD player. 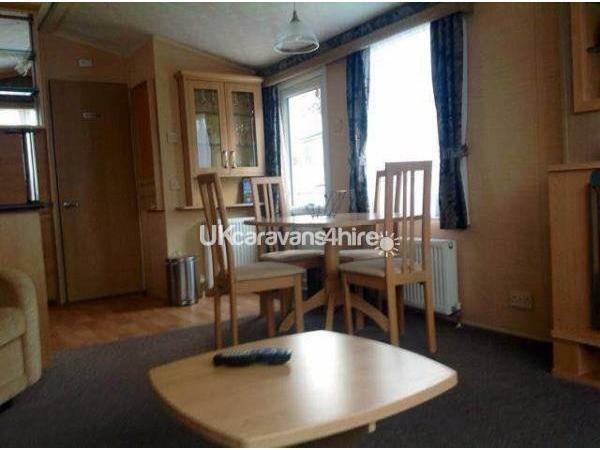 The kitchen area is equipped with a gas cooker, integrated fridge freezer, microwave, toaster, and a kettle.There are two bedrooms: one large double bedroom with ensuite facilities and a further twin room, plus a double fold out occasional bed in the lounge.The main bathroom has a powerful mixer shower, wash basin and toilet. A vacuum cleaner, hairdryer, iron and ironing board are also provided.Externally there are two secure tackle boxes, a smaller wooden box and a larger metal tackle box to lock fishing tackle away safely.Prices include a linen pack and clean at the end of your stay. There is strictly no smoking allowed. No pets are permitted in the holiday home. Deposit and full payment: To reserve a booking a non refundable £50 per week deposit must be paid at the time of requesting the dates. The outstanding balance payment must be received no later than 6 weeks prior to the commencement of your holiday. If a booking is made within 6 weeks of commencement of your holiday, full payment will be due. Should a cancellation be made prior to the payment of your full balance only the deposit sum of £50 per week will be forfeited. If a cancellation is made within 6 weeks of your holiday start date, then the total hire charge will be payable. (Please ensure your holiday insurance provides adequate cover). Arrival and departure: The holiday home will be available from 4pm on your arrival date. Please vacate by 10am on the day of departure. Bed linen will be provided, but you need to bring your own towels, tea towels. Strictly no smoking in the holiday homes. 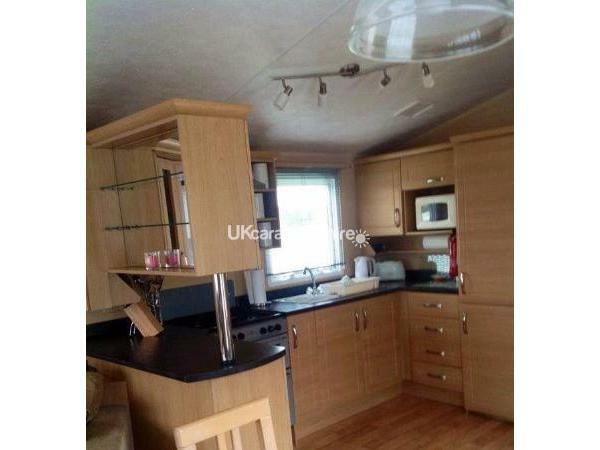 No maggots, casters or worms to be kept inside the holiday homes. 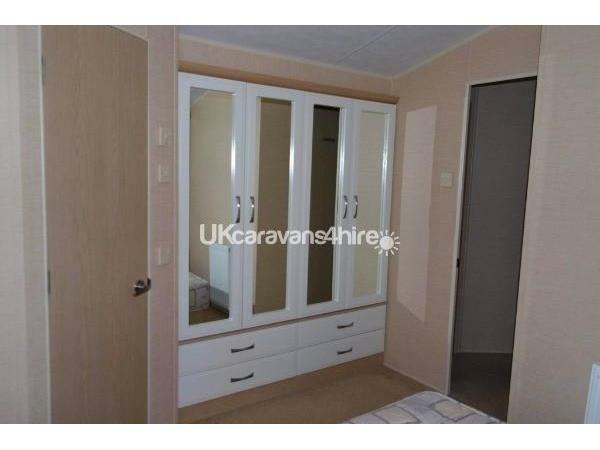 The holiday home is six berth and is not to be exceeded. In the event of behaviour likely to cause offence or damage to others, the White Acres security team and management reserve the right to remove any offenders from the park without redress; in this instance no monies will be refunded. Fire not to be left on over night or while guests are away from the holiday home. Please remove muddy and wet footwear when entering the holiday home. Prior to departure, please ensure all damages or breakages are reported, as they must be paid for prior to leaving. Strictly no barbeques on any of the decking areas. Damage to the decking will be charged for. 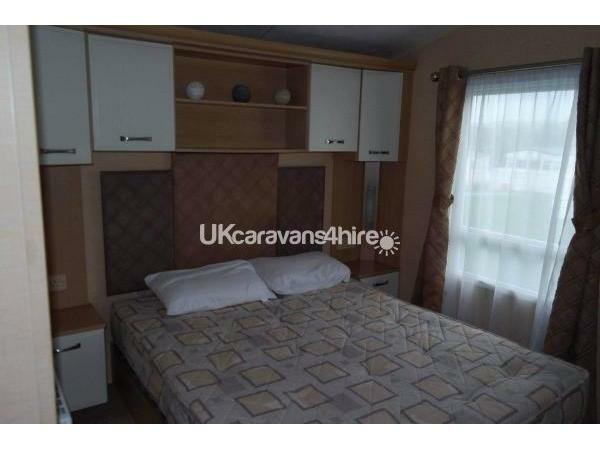 In order to book, I require the names / address/ ages and contact numbers for all people staying in the caravan. 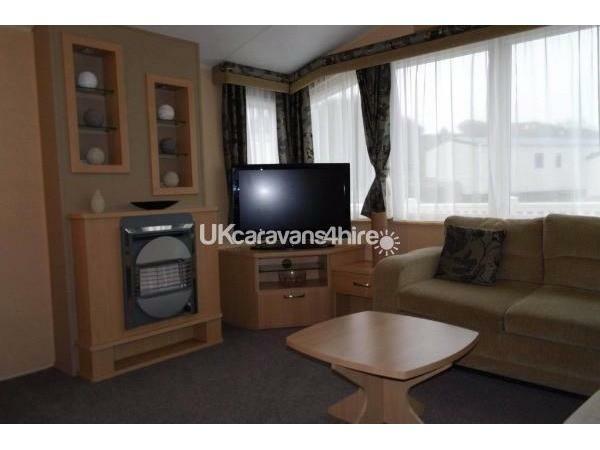 A £50 per week deposit is payable at the time of booking to confirm your dates. 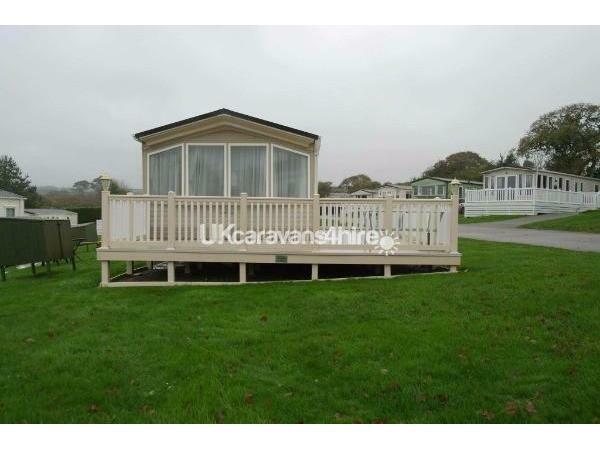 White Acres is a 4* country park which is situated in 184 acres of stunning countryside. Our privately owned holiday home is located near to the fishing lakes offering spectacular views and close to a range of 13 fishing lakes catering for pleasure anglers , match anglers and professional anglers. White Acres offers something for everyone; from lovely walks, to the indoor facilities of pool, sauna, and gym, there are activities throughout the day to keep your little ones entertained in the kids clubs as well as a bowling alley, indoor soft play, crazy golf and various children's play parks dotted around the park. Newquay is approximately 6 miles away and is easily accessible by car or a regular bus service that operates from the main road near the entrance to the park. Cornwall's' many beaches and visitor attractions are easily reached from the location. Polkerris restaurant, serving delicious meals and pizzas with regular weekly offers. Catch of the day take away service fish and chips, pizza, pies etc. Beautician* opposite entrance to the park. Chargeable Wi-Fi is now available throughout the park although still free in the Polkeris bar areas. Free Wi-Fi is available in the Polkeris bar areas. Additional Info: On-Site Pub/Club, Amusement Arcade, Fishing, Pitch and Putt, Crazy Golf, Indoor Pool, Gym, Restaurant, Laundrette, Kids Club, Takeaway, Grocery Shop, Children's play areas, Wooden galleon. PRICES DO NOT INCLUDE ENTERTAINMENT/COMPLEX/FISHING PASSES, ENTERTAINMENT/COMPLEX PASSES MAY BE PURCHASED AT RECEPTION AND COST APPROX £15 PER PERSON, THESE ALLOW USE OF ALL FACILITIES ON THE PARK WITH THE EXCEPTION OF FISHING. FISHING PASSES MAY BE PURCHASED FROM THE FISHING LODGE AND PRICES VARY DEPENDING ON YOUR REQUIREMENTS. The booking process was smooth and efficient and we were welcomed into the caravan by Lisa herself, who took care to explain all we needed to know. 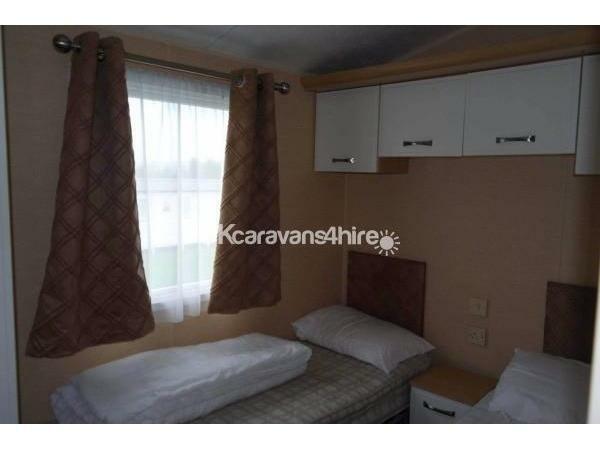 The caravan was spotlessly clean, well-presented and comfortable. 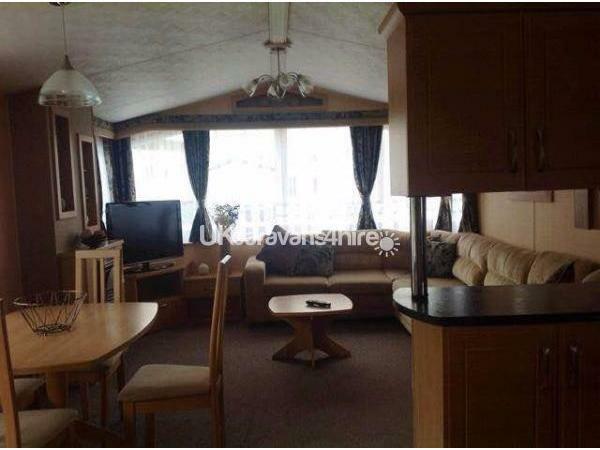 It's pleasantly situated within the Sycamore Forest site, so ideally located for the fishing lakes and also benefits from a large verandah with patio furniture. If we return to Whiteacres in the future I would use again. Thank you for your kind review Jo, it was a pleasure to meet you and look forward to seeing you again in the future.